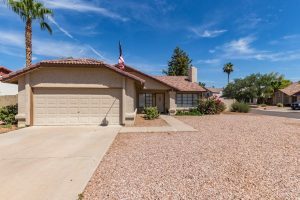 Welcome to 5420 E Greenway St.
Popular Alta Mesa Master Planned Golf Community – Single Level – Corner Lot – Living Room & Family Room with Fireplace. Eat-in Kitchen – Master Suite has separate shower & tub – Walk-in Closet – Large Covered Patio – Freshly Painted Interior, NEW Tile Roof, NEW Water Heater and NEW Backyard Landscaping- Community features well-manicured Golf Club with affordable individual and family plans – Enjoy winter and summer memberships as well. Cool off in the Shepherd Aquatic Complex which is also in the neighborhood and offers water slide, kids splash zone water features and many programs including both swim and dive teams. And Award winning schools in a great Northeast Mesa location. Author Gina McKinleyPosted on July 24, 2018 Categories Community InfoTags #5420EGreenwayStMesa, #AltaMesa, #AltaMesaGolfClub, #GinaMcKinley, #GinaMcKinleyGroup, #JustListed, #Mesa, #QueekCreek, #REMAX, #ReMaxMasters, Chandler AZ, Gilbert AZ, Mesa AZ, The McKinley GroupLeave a comment on Welcome to 5420 E Greenway St.